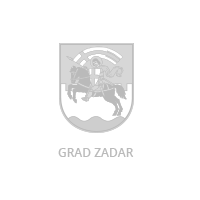 City of Zadar is a local self-government unit, determined by the Local self-government and Administration Act and Territories of Counties, Cities and Municipalities in the Republic of Croatia Act. It has 181 employees and 14 administrative departments. The administrative area of the City of Zadar includes 4 nearby settlements, the town of Zadar, as well as the 7 islands. Fields of competence, which are under the jurisdiction of the City of Zadar are, as follows: Arrangement of City districts and housing, Spatial and urban planning, Municipal economy, Child care, Social welfare, Primary health care, Education and primary education, Culture, physical culture and sport, Consumer protection, Protection and improvement of natural environment, Fire and civil protection, Traffic in its area, Maintenance of public roads, Construction, Energy efficiency, Issuance of physical planning and construction documents and other works in accordance with special laws. 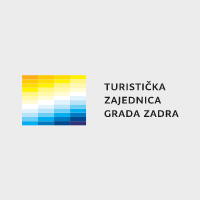 The City of Zadar is active participant in the field of transnational and cross-border cooperation with a long tradition of cooperation with numerous foreign local governments and international organizations. 4) sustainable development of rural areas and islands, and 5) the increase of the efficiency of management development. 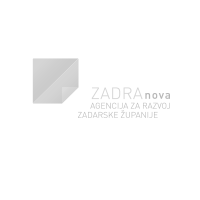 ZADRAnova was first established as Zadra d.o.o., the Zadar County Development Agency, by Zadar County and the City of Zadar in 2006, as a support system to the development of Zadar County. It was in 2013 that it changed its name to the current one. Its objective is to create a system for conceiving and coordinating the development cycle of Zadar County, aimed at serving regional development, creating a positive investment climate and achieving benefits for the population of Zadar County. 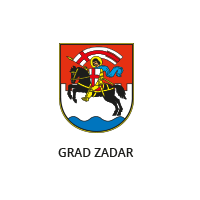 The mission of the development agency is to stimulate the sustainable development of Zadar County through the preparation of capacities to extract EU funds, implementation of regional development policies, assisting the development of small and medium entrepreneurship, attracting and providing services to investors, and promoting energy efficiency and renewable energy sources. Through the implementation of various projects, ZADRAnova has developed a network of reliable partners, bringing together representatives of government, institutions, universities, the private sector, associations and EU experts, in order to strengthen inter-county, inter-regional and trans-national cooperation. ZADRAnova currently actively cooperates in preparation and implementation of EU projects on county and regional level, develops local and county development strategies, implements various development programs and organizes numerous activities with purpose of strengthening human capacities of SME’s, local governments and civil sector. The year 1832. is taken to be the beginning of organized museum activity in Zadar. It was then that the first regional museum of the general type Museo nazionale, was established after the proclamation issued by the Austrian imperial regent in Dalmatia Vetter von Lilienberg who summoned the populace of Dalmatia to collect material for the establishment of a National Museum in Zadar as the seat of the province. In 1962 the Council of the district of Zadar passed a resolution according to which all the existing museums, including the Museum of the People's Revolution which was in the process of being established, were to be integrated into one institution under the name National Museum Zadar. The administration of the Museum, the Department of the People's Revolution and the Cultural-Historical department were located in a new building built in 1962. The basic mission of today's National Museum Zadar encompasses the systematic collecting, safekeeping, exhibiting, documenting and the professional and scientific processing of mobile and immobile objects of the civilizational, cultural and natural heritage that has come into being in the period since the 13th century down to the present day. The area of interest and research is the Zadar district or, more broadly, northern Dalmatia with its islands and its immediate mainland hinterland (Bukovica, the area beneath the Velebit mountain chain, Ravni kotari). 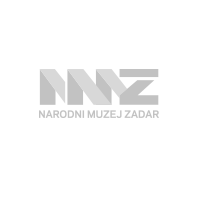 The museum curators are the authors of the conceptions of periodical exhibitions which as a rule are organized in the City Lodge, the exhibition pavilion of National Museum Zadar. The Museum is a co-organizer of or host to various exhibitions staged by other institutions. The Museum publishes monographs, catalogues, posters, postcards, etc. 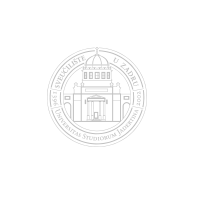 The Museum is the organizer of or host to professional and scholarly conferences, cultural manifestations, concerts, book promotions, workshops, etc. The vision of the future of National Museum Zadar ought to be seen within the Heritage Museum which will be situated in the Rector's and Providure's palaces. Zadar has a centuries-old university tradition, the longest in Croatia: following the tradition of ecclesiastical education, first mentioned in the 10th century, a Dominican higher education institution Studium generale, later known as the Universitas Iadertina, was founded as early as 14 June 1396. The modern development of higher education in Zadar started in 1955 with passing of the Act on Founding the University of Zagreb's Faculty of Philosophy in Zadar. The formal work of the University has begun in 2003. Today, the University of Zadar is the largest integrated University in the Republic of Croatia, which includes 25 university departments: English Department, Department of Archaeology, Department of Classical Philology, Department of Croatian and Slavic Studies, Department of Ecology, Agronomy and Aquaculture, Department of Economics, Department of Ethnology and Cultural Anthropology, Department of French and Iberoromance Studies, Department of Geography, Department of German Studies, Department of Health Studies, Department of History, Department of the History of Art, Department of Italian Studies, Department of Library and Information Sciences, Department of Linguistics, Department of Pedagogy, Department of Philosophy, Department of Psychology, Department of Sociology, Department of Teachers’ and Preschool Teachers’ Education, Department of Teacher’s Studies in Gospić, Department of Traffic and Maritime Studies, Department of Tourism and Communication Sciences, Department of Theology. Departments perform studies on three levels: undergraduate, graduate and postgraduate. The University actively encourages the participation of its units in international competitive projects; incoming and outgoing mobility of students, academics and academic administration; joint studies with foreign universities; contacts and encounters with domestic and foreign representatives of the academic, political and economic communities (diplomats, rectors, representatives of international organizations and government, representatives of religious institutions, etc.). Owing to the diligent and responsible work of its staff and students, the University of Zadar performs scientific, teaching and professional work, grows and progresses each day and contributes to general development. 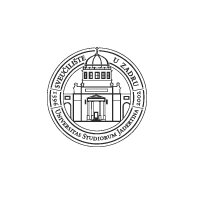 performing other duties prescribed by the law, regulations, directives and/or other acts.